I want to generally let people know that if you are ever interested in purchasing any of my paperback books, LULU Press usually offers a discount code everyday for me to share with others. I have also heavily discounted my print books so they are like over 70% off retail price, so combined with the LULU discount, people can get an amazing deal if you want a paperback book. Here is the current discount code for 20% off (they ship worldwide). If you want to purchase a paperback book later from LULU, just contact me through the blog, MaryRefugeOfHolyLove, and I will give you the latest discount code. At LULU, there are two tiers to their retail books. The more expensive books are bound with more expensive paper, but to be honest, to me, I would choose the cheaper books because the book cover quality is the same and it is only a difference between white or cream paper, etc. I have made my six published books available with both paper types so it is up to your preference. My more expensive books are between $4.00 to $7.50 a book; my cheaper books are between $3.00 to $5.25 a book. My profit margin of a few pennies is the same regardless of the paper quality. Normally, these paperback books would be sold at between $8.00 to $15.00 retail at a bookstore, but I tried to make the books as inexpensive as possible so that many people around the world can afford them whatever the currency exchange. Please know that if you ever see my books at a higher price, it is due to the retailer/distributor and not me. My profit margin will always be a few pennies. However, the retailer, such as a physically-located bookstore, has the discretion to mark the print books up for sale. So, it is best to buy online for the cheapest price. Also, I will never ask for a profit more than a few pennies (I round up to the nearest quarter), as it does not feel right to me to make money given the nature of this work. I solely do these books All for the Glory of God. Now, there are other factors that you might want to consider on whether to buy a print book. First of all, I want to share that I have big dreams for my blog, MaryRefugeOfHolyLove. 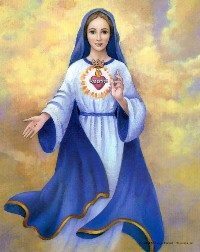 Basically, I am counting on God and Our Lady to perform many miracles for this blog to be available to everyone who needs help both before and after The Great Warning (Illumination of Conscience) takes place. I know that this blog will be the answer to so many people’s prayers for the conversion of their loved ones; and I am so humbled by that sheer fact, I have tears in my eyes. Please know that I, a soul, have loved ones like so many of you have family, friends, coworkers, neighbors, etc., who have fallen away from God and His Church; or do not take seriously their Catholic faith; or have never known the love of God, etc. All of this is for you, me, them, etc. My driving motivation for this work is knowing how easily I could be a lost soul had I not found God in 2003. Knowing how lost some of my family and friends are—not because they are bad people, but simply because they are ill-informed, lukewarm and/or confused—and how traumatic their wake-up call will be during The Great Warning—I do this all for love of them. I want them to know the Gospel Truth and to be saved. I have that wish for everyone. And I strive to do the best I can within the confines of this blog, because my family and friends deserve only the best. I love them—they deserve nothing less than my whole heart. And so, I pray to God and Our Lady for many miracles. There are two main reasons that I chose WordPress.com for my blog. The first reason is security. The main reason that the original website for End-Time Prophet, Maria Divine Mercy, was ordered by Our Lord to be closed down, is because it got hacked by a satanic cult. This cult began changing the messages on the site and so, Jesus asked that the faithful spread the Book of Truth through blogs, because the more copies of it made available online, the less of a chance that the integrity of the heavenly messages would be jeopardized. And so, when I began this blog, MaryRefugeOfHolyLove, in April 2015, to spread the Book of Truth and to promote other heavenly messengers that I believe in, security was a big concern of mine. Having my websites on WordPress.com solves that problem, because for a minimal cost each year, they keep my websites secure and are constantly monitoring them and upgrading their security. I feel very blessed that my guardian angel truly inspired to use WordPress.com and I pray that St. Michael the Archangel continues to protect this blog, which has helped and will help many people. And the second reason that I chose WordPress.com is because of bandwidth and servers. For a very minimal cost each year, my blog has access to hundreds of thousands of servers worldwide and in theory, there is no limit to the number of people that can visit my websites at any given moment. Technically, hundreds of millions of people can visit my blog at the same time, download stuff, and it should not crash (I even asked WordPress.com about it). Call me naive, but I asked God for one billion visitors in the days after The Great Warning (I figure that the rest of the people will hear by word of mouth, etc). I know that sounds incredible, but I believe that God Is the God of Miracles and I know that He can do this amazing feat. 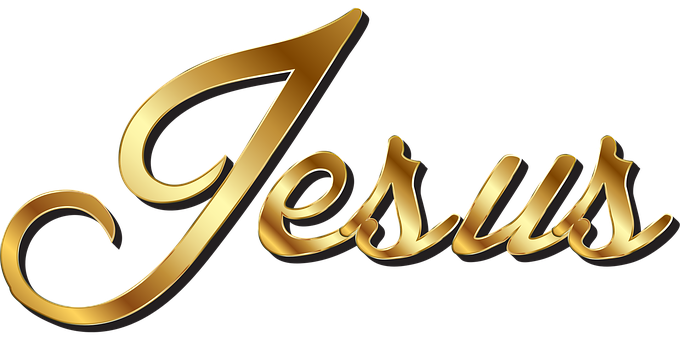 Jesus has said to Maria Divine Mercy that Our Heavenly Father will save five billion people due to the mission of the Book of Truth. Well, those five billion people have to learn about the Book of Truth somehow; and so, I have asked God for one billion of them to learn about it through my blog. 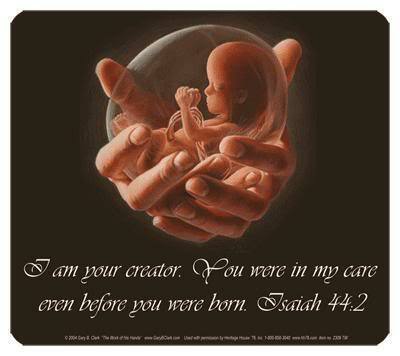 Yes, I have prayed for much from the God of Miracles. Now, having said all of this, I do not know how everything will turn out. I suspect that in the days just prior to The Great Warning, that visitor traffic to all of my websites will spike. That is because everyone will be witnessing the “two suns” in the sky and will be seeking out more information about it—both scientifically and in prophecy. The sun will also be pulsating and spinning beforehand, so it will make many people recall the Miracle of Fatima, which will make many people curious about Catholic prophecy as well. I am hoping that as visitor traffic spikes, that the people who work at WordPress.com will compensate accordingly and so, none of my websites crash. I do suspect that there might be delays on initially accessing the blog, but I am hopeful WordPress.com will allocate resources sufficiently once they realize what is happening. I am actually hoping that the visitor traffic to my websites is exponentially huge in the days leading up to The Great Warning, because once the event takes place, I anticipate that visitor traffic to my blog should go through the roof. So, I need the staff at WordPress.com to position my blogs well enough in advance to handle the traffic afterwards, because the world is going to be a mess just after The Great Warning happens. I am actually praying that there will be a skeleton crew still at work at WordPress.com after The Great Warning happens, so that my websites can handle the continually increasing internet traffic. However, with all these variables, including the potential for many people loosing and having limited services around the world, like internet and electricity in the aftermath, I want people to consider buying my paperback books as a contingency. Especially, as many people will be downloading content from my websites in the aftermath—it is clearly better to either download and save everything beforehand, or purchase the paperback books—so you do not have to compete with everyone else in the future. Also, please consider that I can only “guarantee” that my websites will be available for the six weeks after The Great Warning happens, but not any longer. That is because God has guaranteed us six weeks of peace before the antichrist reveals himself and evil begins its reign. I will maintain my websites for as long as I can, but again, there are so many variables, especially, on what will happen in my country (USA), having paperback books is a good backup plan. Now, just to remind people, I have six published books so far and I am editing three more books, which I hope to have finished by mid-November. I also have some ideas for a fourth book, but I do not have enough material to publish it yet. So, let me tell you what I do have. There are three series of books that I have created and made available freely through this blog, MaryRefugeOfHolyLove. Each series of books has a different theme and purpose. 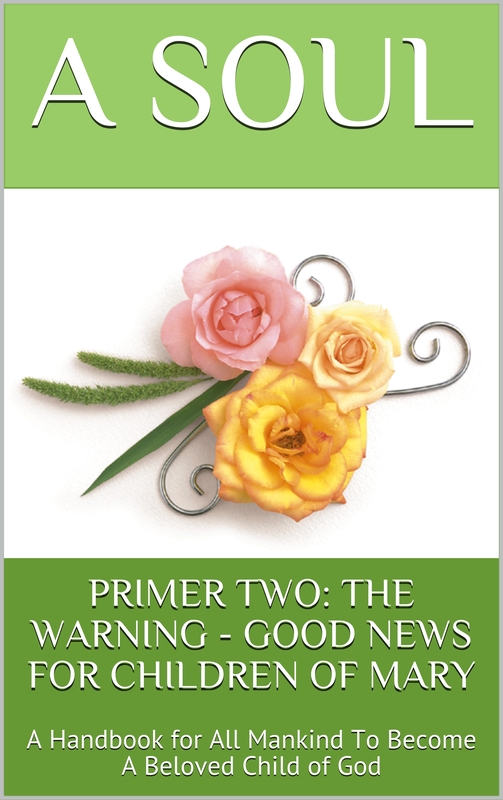 The first series is called, “Mary Protectress Of The Faith.” There are three books so far and these books, “Primers,” are meant as a “crash course” in Catholicism as taught by Jesus, the Blessed Mother, and God the Father. I am including the Table of Contents for each Primer book further below, but if you can only afford two books, I recommend the first two Primers. The second series is called, “Mary Refuge Of Holy Love.” So far, I only have one book published, but currently, I am editing three more books as part of this series. I hope to have the three books available by mid-November. 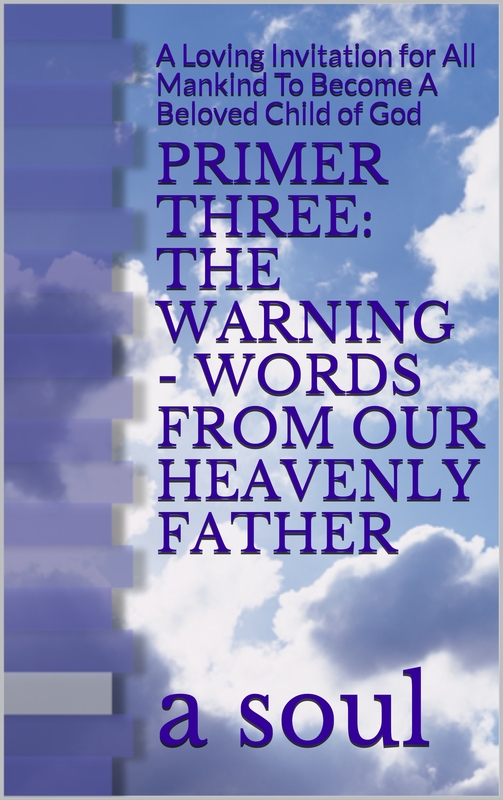 This series of books focuses on the Divine Plan as revealed by Catholic Prophecy. 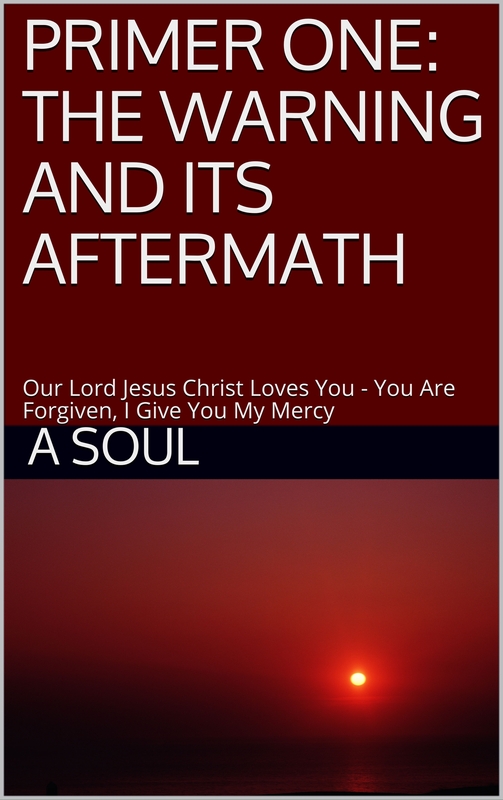 Each book is a mixture of commentaries by me (a soul) and supporting heavenly messages. Finally, the third series is called, “Living In Holy Love.” This series consists of two books about me (a soul) applying heavenly messages to my life. My hope is that people will learn something by example that will help them in developing their own spirituality. And so, if it is within your budget, I hope that you will consider purchasing the books that I have created—not for my sake, but rather, for you and your loved ones, especially, those who may not be technologically-savvy or have a hard time reading long periods on computer screens, etc. 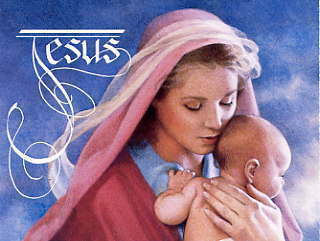 I am also especially concerned by those who are “emotionally-sensitive souls.” I used the adjective, “traumatized,” earlier, and I truly believe that will be the emotional state for most souls after The Great Warning, as most people—over 85% according to the Blessed Mother at Holy Love Ministries (http://www.holylove.org)—are in mortal sin. I know that most people read books electronically, and so, all my books are available free as eBooks at Apple iBookstore, Barnes & Noble, etc. (Unfortunately, Amazon Kindle is $0.99 cents each). However, perhaps it is just me, but there is something to be said for a good old-fashioned paperback book when you are lying in bed crying your eyes out because the pain hurts so much and you want to be alone with your thoughts. Especially, after you have been shown how much your cell phone and e-tablets are idols in your life, etc. Anyways, just as a reminder, if you decide to purchase later any books from LULU Press, please remember to contact me for the current discount code. Sometimes, it is 30% off print books or includes free shipping which can be a significant savings depending on where you live in the world. Hope this post helps people. My Special Mission – Could It Be?